With 65 acres nestled among the vineyards and orchards of southwestern Michigan, Michiana Christian Camp offers a beautiful setting. 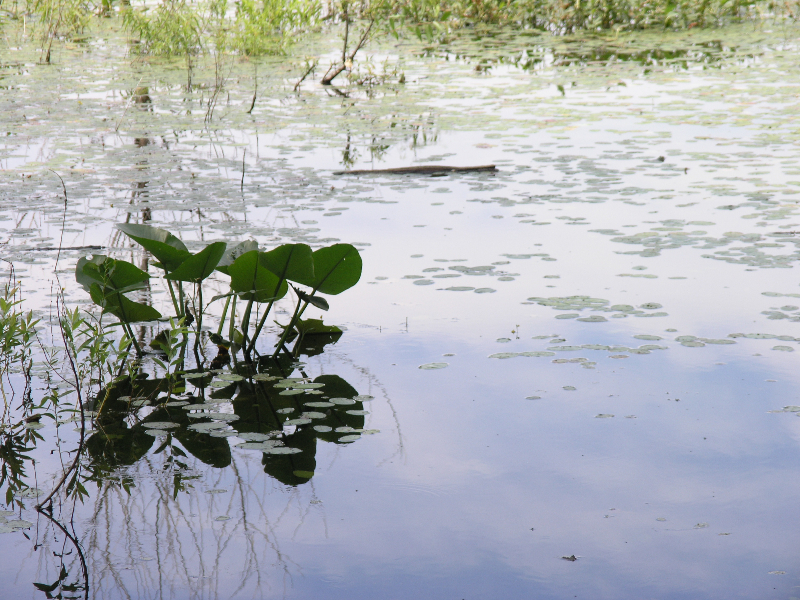 There are a number of favorite spots for quiet reflection or conversation: perhaps the vespers area overlooking Little Indian Lake, under a big maple tree, in a rocking chair in front of a glowing fireplace or under the stars around a crackling campfire. 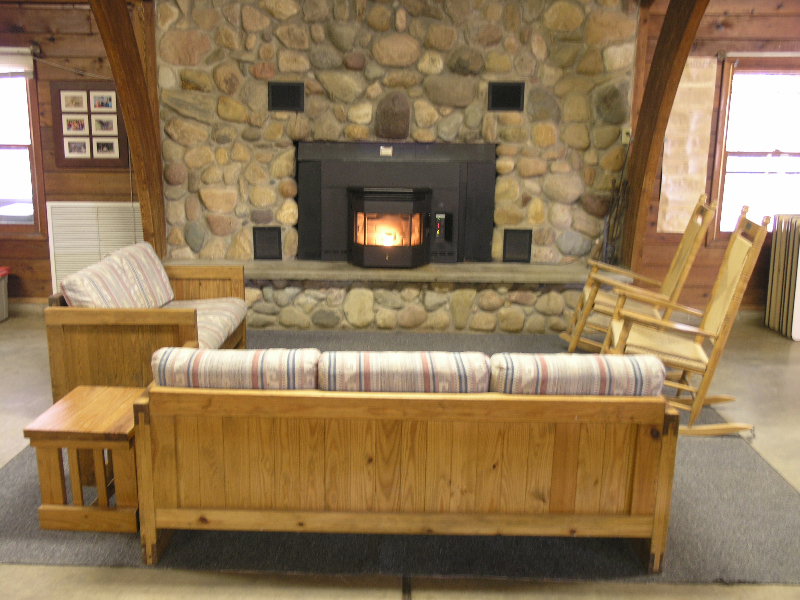 Accommodations at Michiana Christian Camp are ideal for all type of retreats and conferences. 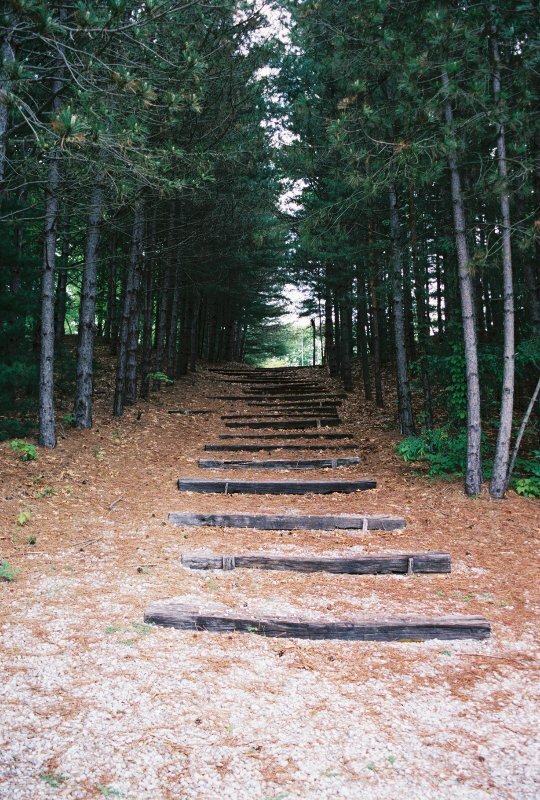 Michiana is a four-season facility that will enable your church group or organization to pursue its goals in a natural setting. We also offer a full schedule of summer camp for youth ages 5-18. This lodge will sleep 22 people in bunk beds and a queen-size bed. The upper level has a kitchenette area with refrigerator and microwave, indoor bath and shower and a winterized porch area overlooking the camp. The lower level also has a kitchenette area with refrigerator and microwave, indoor bath and shower. This facility includes a comfortable lounge/meeting area, a small kitchen with refrigerator, electric range and microwave, dining area and three bedrooms with bunk beds. There are two bathrooms with showers. This is an “upgraded” version of camp and is self-contained to accommodate groups of up to 12. This building is a 40’ x 80’ area for meeting and eating, which will seat up to 250 people. Included is a stage area, sound system and a fireplace. 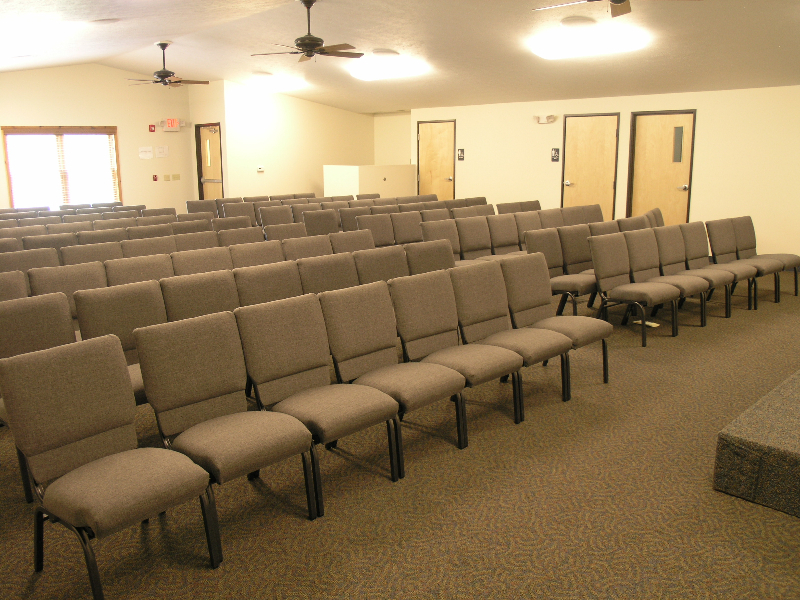 There is an additional meeting space located upstairs that seats up to 150. A commercial-grade kitchen is available in this building. Refrigeration and freezer space is included. Also included in this building is recreational equipment for ping pong, foosball and carpet ball. 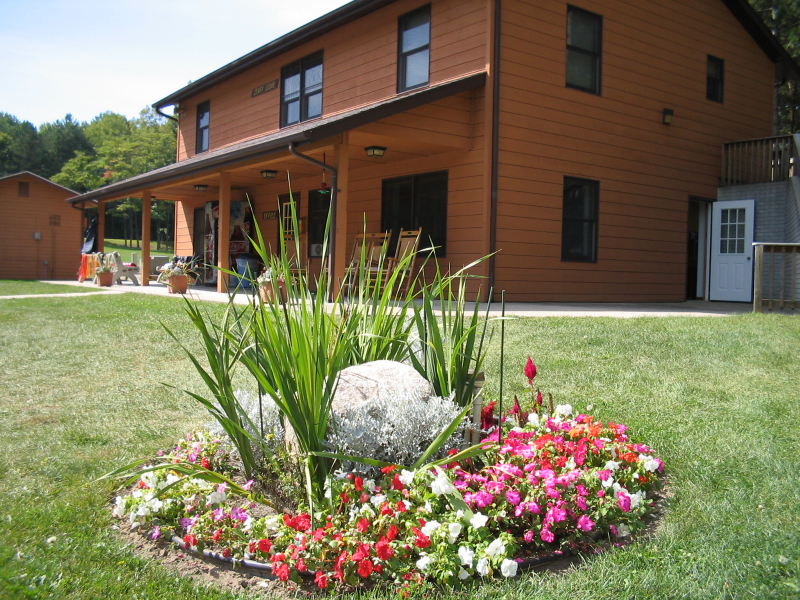 This building is air conditioned and winterized to accommodate your retreat during any season of the year. 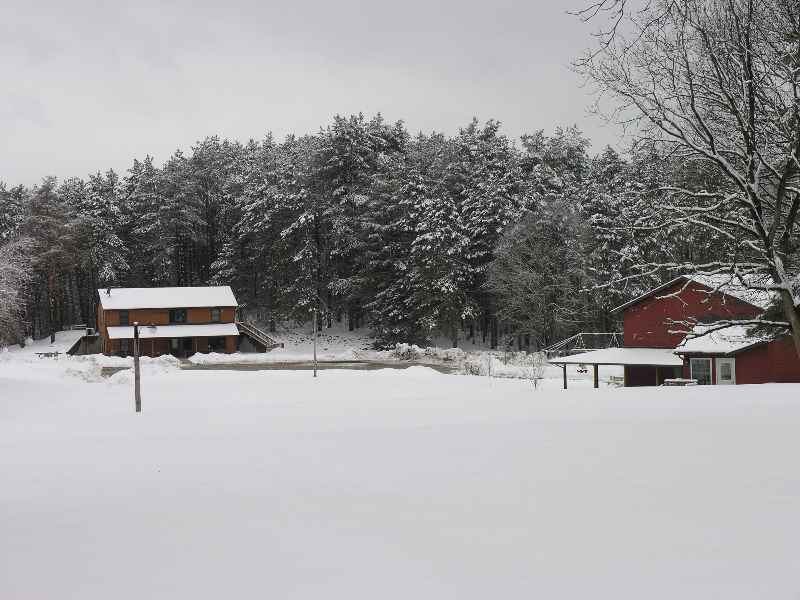 Each log cabin is equipped to sleep 25 people in bunk beds in a dormitory-style with indoor restrooms and shower areas. There are a total of five cabins, three of which are winterized and available for fall, winter and spring use. 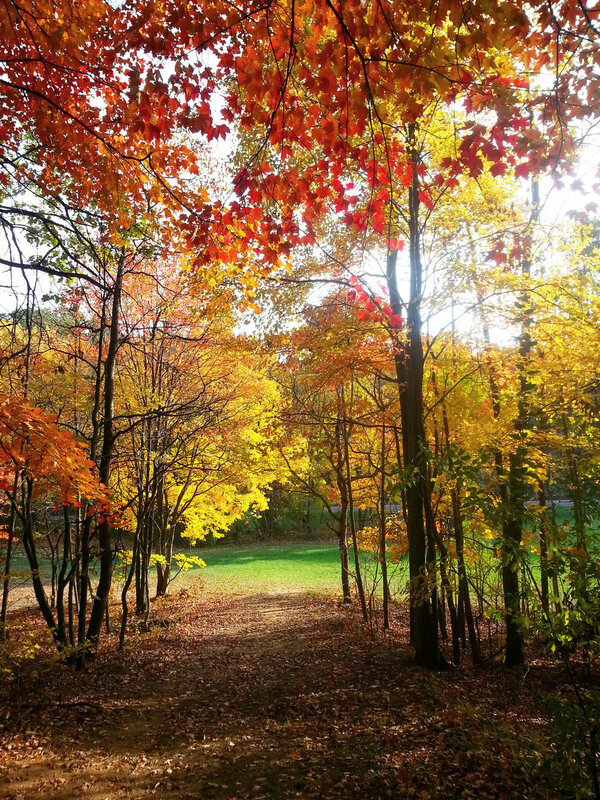 All cabins are within walking distance of all recreational areas and facilities. These are more rustic conditions for those seeking a back-to-nature experience. An open pavilion is located at the center of this site as well as a campfire pit nearby with log benches. Three octogonal-shaped huts are build 4-6 feet off the ground. Each hut is 24′ wide and can accommodate up to 12 people. Running water is available at this site with non-flushing toilets nearby. A bathhouse is within walking distance with flushing toilets and showers. 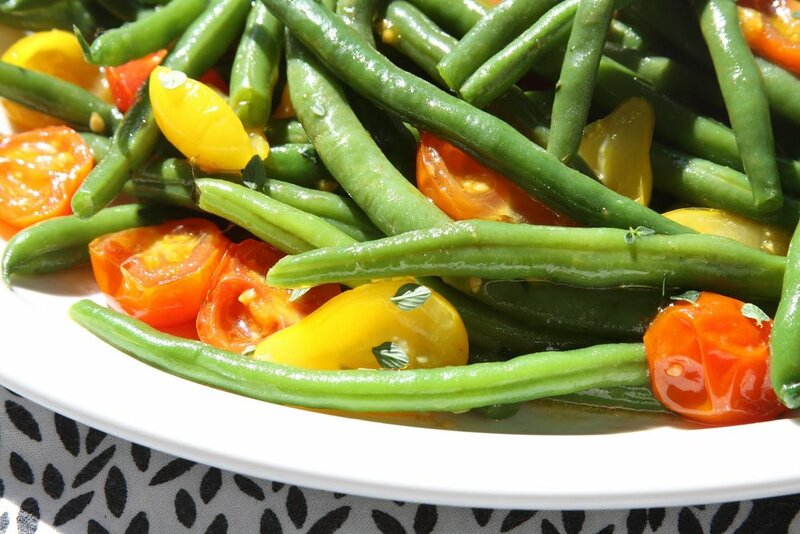 Michiana Christian Camp seeks to meet your retreat needs in every way and has a variety of well-rounded, wholesome menu choices should you choose to have us prepare your meals for you. Menu information can be requested by contacting us.